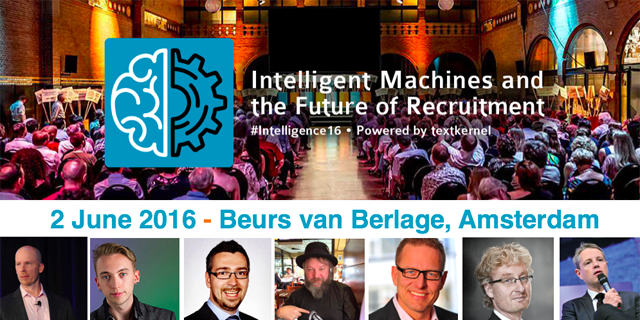 To celebrate its 15th anniversary, semantic recruitment technology specialist Textkernel is organising a one-day international conference on Intelligent Machines and the Future of Recruitment. 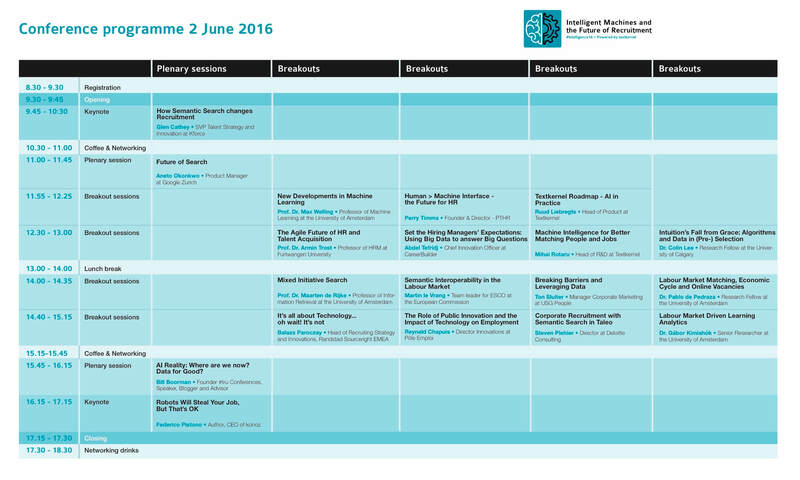 It will take place on the 2nd of June 2016 at the Beurs van Berlage in the heart of Amsterdam. With speakers such as Glen Cathey (Kforce), Federico Pistono (Author), Prof. Dr. Maarten de Rijke (University of Amsterdam), Ton Sluiter (USG People), Balazs Paroczay (Randstad Sourceright), Prof. Dr. Armin Trost (Furtwangen University), Perry Timms (PTHR), Bill Boorman (Founder of #tru conferences) and Reynald Chapuis (Pôle Emploi), the conference will explore the impact of rapidly evolving machine intelligence on the future of people and jobs. This event already took place. To find out about the day, read the article Looking back at Intelligent Machines and the Future of Recruitment.